Ginger B. Collins, author, poet and advocate for writers, “a coppertop on the mountain”, will share her experience of working with writers to build writing communities. She has worked in with an Atlanta as the publicity chairman for the Atlanta Writers Club. She will talk about her experience as the founder of Alleghany Writers, which is a a thriving new writers’ organization. Her talk will take place in 3rd Place on Appalachian St., in Boone. The event will be held at 11 a.m. on Saturday 31st March. Her topic will be “Creating a Writers’ community”. Behind The Stacks poetry group will host the event. It is free and open to all. For any other information call Mary Gray at 828-264-5620. So You Want to be in Film?_ Jared Shumate, instructor: This course is targeted to participants who have never acted before or who have some theatrical experience which they want to develop for film work. Participants will learn how to adjust their movements and performance based upon camera positioning and will gain confidence in acting in front of the camera. Participants will learn different ways actors can find work in the film industry as well as basic information regarding what to look for in an agent, getting headshots and skills needed for auditioning in film. May 12, 2018 9am – 1 pm This course is limited to 6 participants. This series of courses is designed for ages 16 and over unless otherwise noted. Minimum of 4 participants per course is required. Maximum enrollment is 12 participants unless noted otherwise. Boone, NC (March 26, 2018) – Appalachian Gastroenterology, also known as AppGastro, will become a member of Appalachian Regional Healthcare System (ARHS) on April 1, 2018. 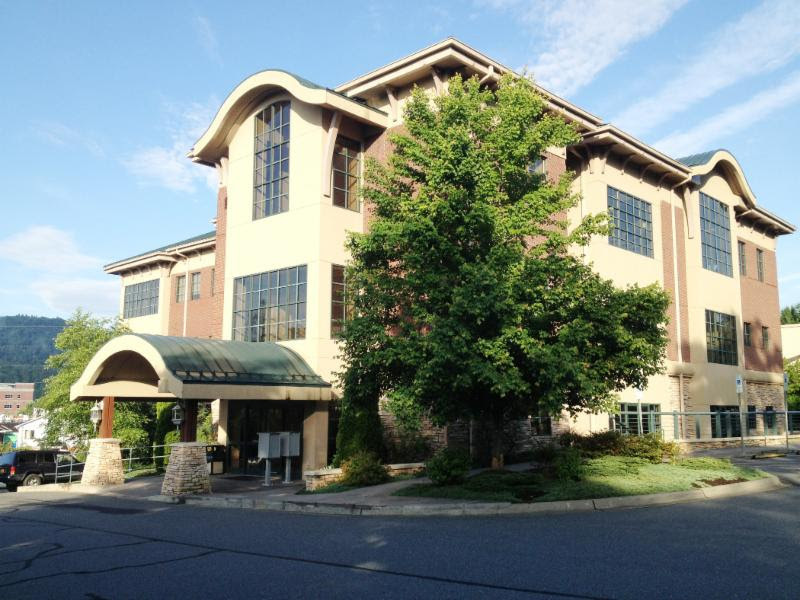 The practice, which is located less than a mile from Watauga Medical Center, will join Appalachian Regional Medical Associates (ARMA), the healthcare system’s multi-specialty practice group. Established in 1997, AppGastro specializes in the prevention, diagnosis and treatment of diseases that affect the digestive tract. Patients are often referred to AppGastro if they need to schedule a colonoscopy or if they suffer from acid reflux, indigestion, nausea, bloating, gallbladder disorders or abdominal pain. The practice is staffed by its founding board-certified gastroenterologist Douglas Trate, MD. Dr. Trate earned his undergraduate degree in Biology at the University of Pennsylvania and his Doctor of Medicine degree at the University of Medicine and Dentistry of New Jersey. His post graduate training included a three-year internal medicine residency and a three-year fellowship in gastroenterology at Temple University. Dr. Trate is joined in practice by Kimberly Taylor, FNP-C and Leah Leska, FNP-BC. The Boone office location, 870 State Farm Rd, Suite 102, as well as the phone number 828-264-0029 will remain the same. To schedule an appointment at AppGastro, call 828-264-0029. To learn more about Appalachian Regional Healthcare System visit apprhs.org. Where can you get all you can eat country breakfast for only $7? Eggs, pancakes, bacon and country ham will be on the menu when the Boone Area Lions Club holds its annual Country Breakfast on Saturday, April 7 from 7:00 – 11:00 am in the Fellowship Hall of the First Baptist Church of Boone on King Street. All are invited to eat in or take out. Tickets are available at the door for $7 for adults and $4 for children 6 and under. The Boone Area Lions Club was founded in 1936 and was the first service club in Boone. The Lions will conduct a Blood Drive on May 1 at the Holiday Inn Express and sponsor the Lions Vision and Hearing screening unit on June 30 at Walmart. Lions’ flags are displayed on seven holidays in downtown Boone and on Hwy 421. The first flags will be flown on May 19 for Armed Forces Day. The proceeds from the Country Breakfast are used to support community projects aiding the visually and hearing impaired children and adults of the High Country. Lions assist those in need of glasses with the assistance of NC Lions, Inc. The club also assists local visually impaired residents by paying for the registration for one week summer camp sessions at Camp Dogwood on Lake Norman. Local residents are also able to participate in the Visually Impaired Persons fishing tournament at Nag’s Head in October. The Boone Area Lions will also be collecting used eyeglasses during the breakfast to be sent to people in need in other countries. Last year Lions distributed more than six million glasses in developing nations. Local residents are urged to drop off used glasses, dark glasses, cell phones and hearing aids during the morning. Lions Club brooms will also be on sale. Lions, who were first formed in 1917, have been celebrating 100 years of service this year and are recognized worldwide for their service to people who are blind and visually impaired. This service began when Helen Keller challenged Lions to become “knights of the blind, in the crusade against darkness” during the 1925 Lions Clubs International convention, and the organization has followed that direction in the 93 years since. Lions Clubs International is the largest international service organization in the world with more than1.4 million members in 46,000 clubs in more than 210 countries and geographical locations. In addition, Lions make a strong commitment to young people through many youth programs. The Boone club supports a Cub Scout pack and a Little League baseball team. Lions also work to improve the environment, build homes for the disabled, support diabetes education, and, through the Lions Club International Foundation, provide disaster relief around the work. The Boone Area Lions Club meets for a lunch meeting at 12:00 pm on the first and third Tuesday of every month at the Sagebrush Restaurant. For further information about the Lions or to attend a meeting, call Lion Roger Bodo at 828-260-2019. Please join us for a special visit with Susan Rivers, author of the Civil War – era novel The Second Mrs. Hockaday. Rivers’ debut novel, The Second Mrs. Hockaday, published by Algonquin Books, was a People Magazine “Best New Books Pick,” a Woman’s Day “Editor’s Desk Pick” in 2017, an IndieNext, Library Reads and SIBA Winter OKRA Pick and was selected by the online publication, BookBrowse, as one of The Best Books for Book Clubs in 2018. The novel was a finalist for The Center for Fiction First Novel Prize 2017. Inspired by a true incident, this novel takes place at the conclusion of the American Civil War, when a young soldier’s wife in South Carolina goes on trial for murdering an infant she bore while her husband was far away, fighting with Lee’s army. Placidia Hockaday, the protagonist, struggles with the unraveling of the social order in her Southern homeland even as her views on race and family are transformed. A love story, a story of racial divide, and a story of the South as it fell in the war, The Second Mrs. Hockaday reveals how that generation — and the next — began to see their world anew. Rivers began her writing career as a playwright, receiving the Julie Harris Playwriting Award and the New York Drama League Award, working as an NEA Writer-in-Residence in San Francisco, and being named as a finalist for the Susan Smith Blackburn Award for British and American Women Playwrights. Fiction became her focus after moving to the Carolinas in 1995. She holds an MFA in Fiction-writing from Queens University of Charlotte in North Carolina and was awarded a Regional Artist Grant from the Arts and Sciences Council there. The author lives with her husband in a former cotton-mill town in upstate South Carolina, where stories and stray animals are thick on the ground. None are turned away. Ms. Rivers will be speaking to the High Country Writers at the Watauga County Public Library at 10 am on April 12, followed by a presentation for a general audience at 2 pm. All are welcome to attend both events. The Caldwell Arts Council is pleased to announce the 42nd Annual Caldwell Visual Artists Competition scheduled for June 22-July 28, 2018. Cash prizes will be awarded at the opening reception June 22, 2018, 5:00-7:00 p.m. This competition is open to 2-D (paintings, collage, etc.) and 3-D (pottery, small sculpture, etc.) visual artists 18 years of age or older who reside, work, attend school or take art classes in Caldwell County. Photography is excluded from this competition; however, Caldwell Arts Council will host a new photography competition in January 2019! A non-refundable entry fee of $25 entitles each artist to display two works of art. Artwork must be delivered either June 15 (9am-5pm),June 16 (10am-2pm) or June 18 (9am-5pm). The details and prospectus are available on the website: www.caldwellarts.com or by calling 828-754-2486.